NSD Powerball India | which flavour will I choose.. there are so many options! Which flavor will I choose? With 9 models in the range these days, there is a splendid sphere available to suit every budget and performance requirement! 'Younger brother' of the 250Hz Pro model, this superlative gyro offers exactly the same high speed performance but ships without the digital speed meter which can be added at a later stage when required. The same thorough workout on your arms and wrists therefore and at a very affordable price! This Powerball is also available for Customization. The fastest and most perfectly balanced hand gyro range on earth - capable of reaching speeds in excess of 15,000rpm all powered simply by your own hand! This superlative instrument comes complete with a digital speed meter to allow you monitor your power improvements on a daily basis and test your skills against both your friends and Powerballers throughout the globe on the Top 100 scoreboard! This Powerball is also available for Customization. Just like the 250Hz Classic model, the Screamer Classic is supplied without a digital speed meter (this can be added later if required) and has the added bonus of a series of precision-drilled holes around the rotor surface to produce a satisfying whine even at lower speeds! This Powerball is also available for Customization. Just like the 250Hz Pro model, the Screamer Pro is also supplied with a digital speed meter to allow you to monitor improvements and has the added bonus of a series of precision-drilled holes around the rotor surface to produce a satisfying whine even at lower speeds! 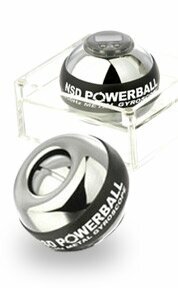 (Comes with a digital speed meter) This Powerball is also available for Customization. Neon Classic models contain the same perfectly balanced rotor as found in the 250Hz model range but with the addition of 6 ultra intense LED's which glow brightly when the gyro is activated. Naturally, the faster you spin, the brighter the LED's glow until your whole hand is engulfed in an almost surreal [alien] like envelope of light! Neon Classic is identical to Neon 'Pro' except it comes without the digital speed meter. The same thorough workout on your arms and wrists therefore and at a very affordable price! This Powerball is also available for Customization. Just like the Neon Classic models. All Neon Pro models are available with an inbuilt digital counter- that surreal glow which engulfs your hand during use is generated by a small induction coil also present on the rotor - the faster you spin, the brighter it glows! which requires no batteries (other than those for the counter). This Powerball is also available for Customization. At almost twice the weight of the Neon or 250Hz models, the 350Hz Heavy Metal exerts an extraordinary force on the arm and wrist and will test even the fittest player. Flawlessly finished in a magnificent mirror-chrome, this remarkable gyroscope is one of the world's most perfectly engineered products. The 350Hz Heavy Metal NSD Power®ball is shipped with a silent running but very high density metal composite rotor (such is its mass, even Akis has struggled to exceed 13k) - a lower density but fully blown competition model is expected to ship in late '07 and promises potential speeds in excess of 20k (with the sounds to match!) and some serious NSD Powerball action in the Top100 board! To compliment such a magnificent product, we present it to you in a unique and totally transparent 2-piece magnetic display case which will please the most discerning tastes. This Powerball is also available for Customization. This Powerball is also available for Customization. The digital speed meter is the perfect companion for any regular Powerball model and will allow you to keep an accurate record of your performance on the splendid spheres! 1. The real time revolution speed of the rotor. 2. The highest achieved speed in a given session (this will remain in the speed meters memory until either manually cleared or until surpassed by a faster score - it add's serious fun to your new Powerball and brings out the competitive edge to all as you set about trying to beat either your own high score or that of your colleafues! 3. The Physical strength mode - this counts the number of revolutions made by the rotor in a 30 second period and makes for a worthy stamina challenge to help indicate just how strong you are becoming from using the shiny sphere! 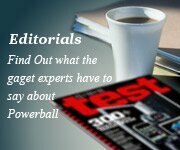 The speed meter simply clips onto the top of any regular Powerball after first removing the hard plastic cap. The ultimate accessory for any Powerballer! 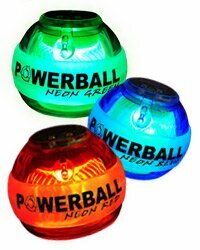 Sit the electric starter on your desk where it will be instantly available each time you want to take your Powerball for a spin! Simply sit your Powerball into the starter and give a gentle push - your Powerball will immediately be brought up to the required speed for an effortless start each time! Available in blue or amber and battery-powered for portability, the Electric Starter is a must!